Is Going to The Shack Worth the Trip? Occasionally a product hits the market after interest has peaked and people have moved on. 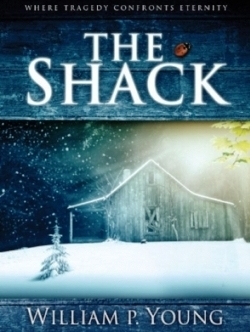 Stuart Hazeldine’s film adaption of the popular 2007 fictional book The Shack by Canadian author William P. Young may be this kind of product. Opening weekend box office only garnered $16 million US for a film based on a book which sold more than 10 million copies. Had the film come out in 2008 it could have exploited the book’s momentum. The fact this film is set to fizzle not sizzle is actually for the best. And why would that be? For those who followed the story of William P. Young and his book it will come as no surprise that The Shack has come under legitimate theological fire. This is not unwarranted and the film does nothing to change the significant problems. The Shack is the story of a man, Mackenzie (Sam Worthington), grieving the loss of his kidnapped and murdered youngest daughter Missy (Amélie Eve) while on a family camping trip. Although investigators found the crime scene, the girl’s body was never recovered. In his time of great sadness over his daughter’s death Mackenzie receives a note in his mailbox inviting him to make a weekend visit to the shack where Missy was murdered. The note is signed “Papa”— his wife Nan’s (Radha Mitchell) nickname for God. Could it really be God? Might it be the murderer trying to lure Mackenzie to the scene of the crime? Is it just a sick joke? Despite a snowstorm, Mackenzie “borrows” his neighbour’s (Tim McGraw) truck and drives to the shack. Initially he finds nothing there except traces of his daughter’s murder which leave him distraught. After almost attempting suicide he has an unorthodox interaction with God. What follows is personal grief counselling from God as Mackenzie deals with his daughter’s death, the problem of evil, and his own troubled childhood which includes abuse from his father (Derek Hamilton). This all happens in a sort-of bubble where the ramshackle snow-covered shack is transformed into a summertime paradise complete with an idyllic lake, down comforters, and home-cooked meals served by God. Depicting God in movies is not new. In 1977 comedian George Burns played God in “Oh, God!” and more recently Morgan Freeman has portrayed God in Bruce Almighty (2003) and Evan Almighty (2007). 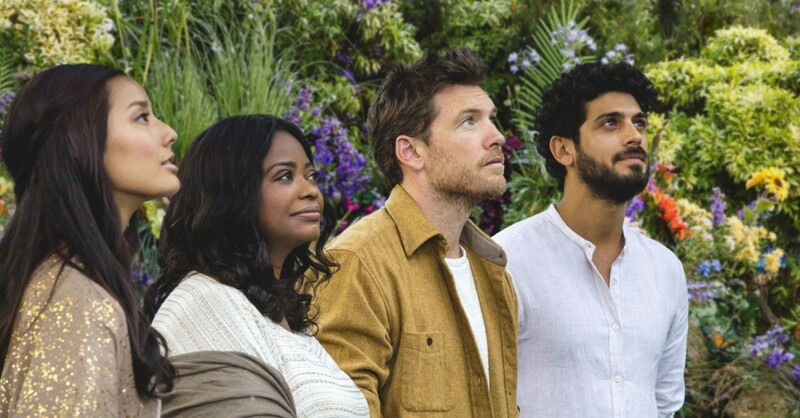 In those films, God is largely played for laughs but how does The Shack depict God and is it a faithful depiction of the Holy Trinity? (Films like “Oh, God!” don’t even tackle the mystery of the Trinity!) What viewers receive in The Shack is not the Holy Trinity of Scripture: “one God in Trinity and Trinity in Unity, neither confusing the persons nor dividing the substance” as confessed by Christians in the Athanasian Creed. Neither does The Shack adequately present the incarnation of Christ as found in the Apostles’ Creed where Jesus is confessed by Christians to be “conceived by the Holy Spirit and born of the Virgin Mary” and therefore because of His incarnation is distinctly different from God the Father and Holy Spirit. It’s not enough to have an ethnically-accurate, walking-on-water, wood-working Jesus (Avraham Aviv Alush). If God the Father and the Holy Spirit are depicted incorrectly it impacts the Incarnation, and when the presentation of the Incarnation is wrong more trouble follows. In the book and film Mackenzie interacts with a physical representation of God the Father—a wise/wisecracking black woman happy to be called Papa (Octavia Spencer). He likewise interacts with a sensitive Asian woman and gardener, Sarayu, who is intended to be The Holy Spirit (Sumire Matsubara). These women are overly affectionate and emotional. Along with Jesus, they are fixated on “relationship” over and against anything resembling religion; Jesus claims to be disinterested in people being Christian at all. The Jesus of The Shack is only interested in people having a relationship with Papa and that relationship is of a certain kind: a sort of endearing intimate relationship often talked about in Pop American Christianity, short on reverence or awe, and capitalizing on society’s emphasis on intimacy in all relationships. If a discerning Christian compares the intimate relationship Mackenzie has with God in The Shack to the rather impersonal relationship Job has with God in the Scriptural account of Job’s tragic suffering, the difference quickly appears. In Scripture, God’s love for all people doesn’t require touchy-feely sentimentality. Ultimately, it requires Christ’s willing sacrificial death in the place of the sinner for the atonement of sin which brings reconciliation between God and humanity. In the Bible, this is the purpose of Jesus’ incarnation and birth, the reason the Word became flesh. The physical portrayal of God the Father and the Holy Spirit as women muddies what Scripture faithfully teaches about Jesus. But the problem is deeper than author Young’s desire to overturn the predominate expressions of God in Scripture. Papa claims she appears to Mackenzie as a woman because of his poor relationship with his earthly father who beat him as a child. Later, Papa reappears as a Native American man (Graham Greene) because Mackenzie needed Papa to be a man when he’s led to his daughters missing body. Since The Shack’s God changes forms, changes masks, to suit the situation at hand, an ancient challenge to the doctrine of the Trinity presents itself: the 3rd century heresy called modalism in which there are three different “modes” of God rather than three distinct persons. This false teaching becomes abundantly clear in a conversation Mackenzie has with Papa where he accuses God of being bad at sticking close to people in their time of greatest need. When Mackenzie points out that at the cross Jesus asked “My God, my God why hast Thou forsaken Me?” Papa responds, “You misunderstand the mystery.” Papa then shows him nail wounds from the crucifixion saying that she (God the Father) never left Jesus at the cross and that they were “there together,” and that it cost them “both dearly.” Sarayu, the Holy Spirit character, is later seen with the same crucifixion wounds. This sort of cleaver exaggeration of the oneness of God is modalism. While The Shack is trying to show how much God cares for Mackenzie’s suffering, the film undermines the Incarnation which is how Scripture teaches us that God cares about human suffering by becoming one of us. The Shack, in the most visual way possible, implies strongly that Mackenzie is not interacting with a God who is three distinct persons, equal in glory, and coeternal in majesty within the Godhead, where only Christ, because of His incarnation, keeps the wounds of His crucifixion as emblems of His sacrifice (John 20:19-31). Why is this important? Students of Luther’s Small Catechism will recall a section called “Christian Questions with Their Answers.” It’s a series of questions prepared by Dr. Luther for those who intend to go to the Sacrament of the Altar. Question 8 asks: “How many Gods are there?” The answer is: “Only one, but there are three persons: Father, Son, and Holy Spirit.” Question 9 asks: “What has Christ done for you that you trust in Him?” The answer is: “He died for me and shed His blood for me on the cross for the forgiveness of sins.” Then question 10, a very important question as it pertains to this part of the film, asks: “Did the Father also die for you?” The answer is: “He did not. The Father is God only, as is the Holy Spirit; but the Son is both true God and true man. He died for me and shed His blood for me.” As soon as Papa shows wounds from the crucifixion The Shack fails to be a Christian story and embraces the ancient heresy of modalism, an unfaithful depiction of the Holy Trinity and by extension a denial of the incarnation of Christ Jesus as taught in Scripture. The god of The Shack is not the Christian God of Scripture. The answer? The Shack is not a good film. It’s B-grade at best with an unsatisfactory ending. [SPOILER ALERT] While heading home from his weekend in the shack Mackenzie ends up in an accident which totals his neighbour’s truck. The accident puts Mackenzie in the hospital. There he’s told the accident happened on his way to the shack and that he spent the whole weekend in the hospital. Did any of his divine interactions really happen? Was it all a dream? Did Papa lead him to his daughter’s missing body? Did he bury her in a coffin hand-made by Jesus the carpenter? Or did it all just happen in his head? This is the worst kind of film ending and it differs from the book’s conclusion where there is a concrete resolution concerning the missing body leading to the real-world capture and prosecution of the killer. 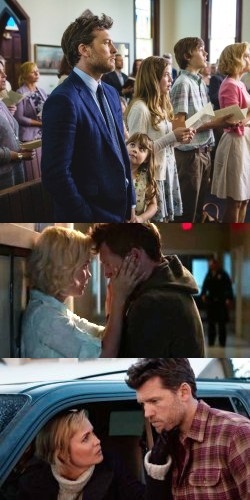 In the film no time is spent resolving any of this. Rather, Mackenzie puts his grief behind him and lives a happy life with his family and wife almost like nothing bad ever happened. Now that the end of both the book and the film are out of the bag feel free to skip going to The Shack. There is nothing there for the Christian. In fact, what you’ll find is a heretical wolf in sheep’s clothing— modalism—and it will bite anyone who takes their eyes off it for even a moment. Rev. Ted Giese is pastor of Mount Olive Lutheran Church, Regina, Saskatchewan, Canada; a contributor to The Canadian Lutheran, Reporter and KFUOam; and movie reviewer for the “Issues, Etc.” radio program. Follow Pastor Giese on Twitter @RevTedGiese. Check out our Movie Review Index! You can also find this article featured in The Reporter and in the Canadian Lutheran.